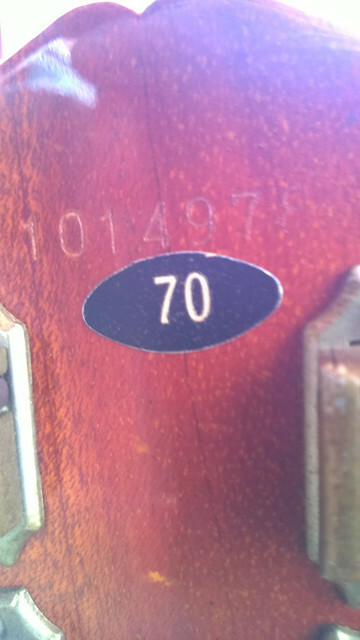 Posted: Thu Aug 17, 2017 6:51 pm Post subject: NGD First Tokai! I just wanted to say hello and just check with the experts that this guitar was all okay? I don't know too much about Tokais but couldn't resist. 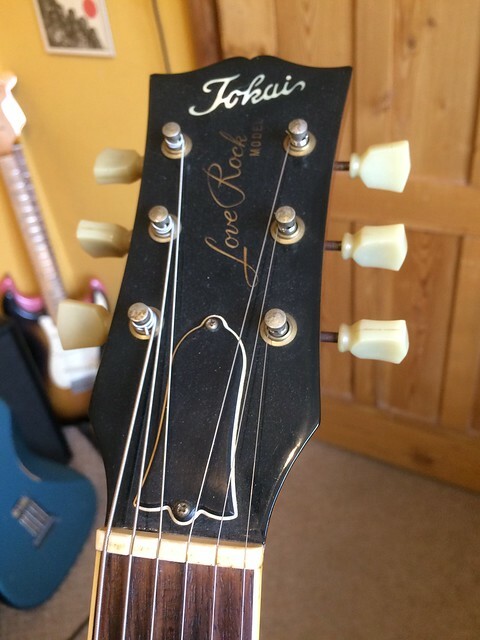 It's a Tokai Love Rock Gold Top serial 1014***. 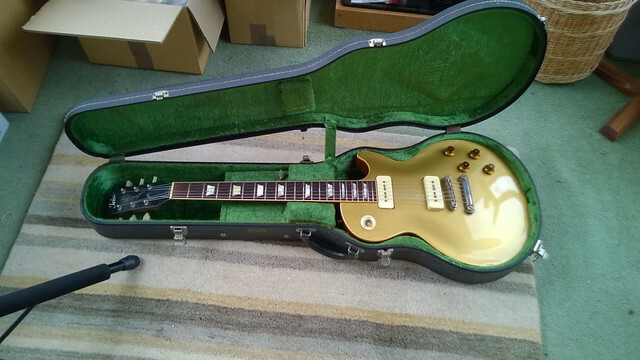 It has a sticker under the s/n with 70 (white on black) It has Gibson P90s in it and came with a Tokai hard case. I'm told it's from 1982? It certainly appears quite old but is in great condition for its age. Sorry for being dense but I can't figure out how to post pics :-/ I've included a link to Facebook, is that okay? I'm told it's from 1982? The serial# chart indicates 1981. 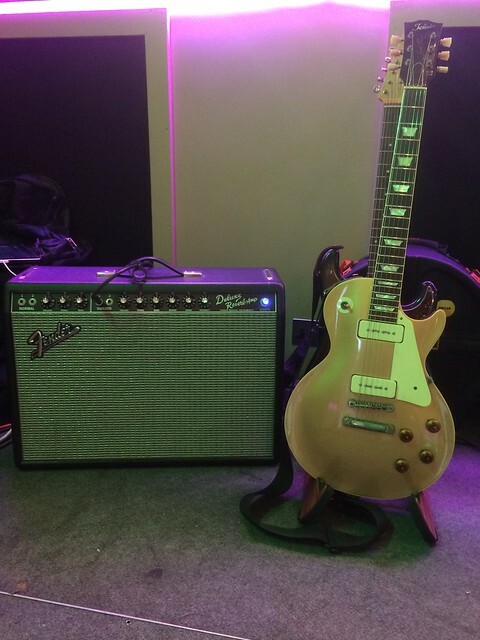 GT with P-90's whats not to love ?? Congrats !!! 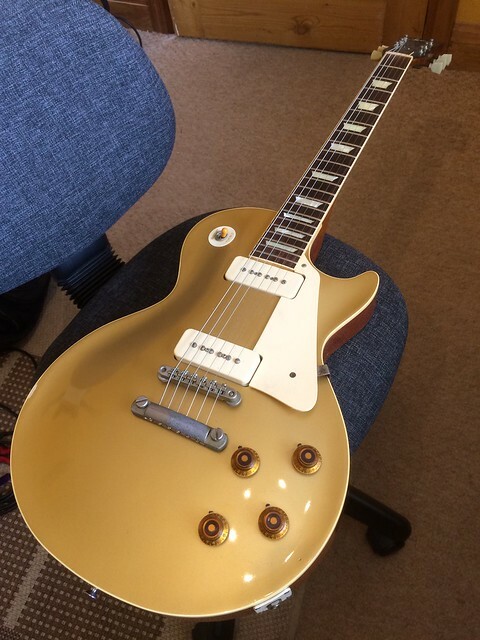 The buyer originally said 1982, I checked the Tokai dating site for info and while the serial number does suggest '81 it also states that the LS-70 Gold top with P90s was only available in '82? I'm assuming it was probably a very early one from that particular batch? 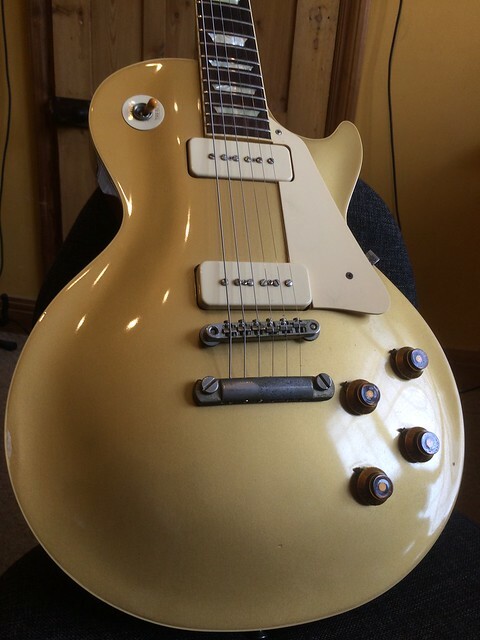 That's a real beauty and look at this fantastic condition for its age ! To post pics you need an account for flickr or photobucket or similar. Posted: Fri Aug 18, 2017 8:32 am Post subject: Pictures!! Beautiful guitar. Congrats!! Let me know if you ever decide to sell it. Emiel: Apologies I just had to have it! I'll try to remember to give you first refusal! that is like 110% of awesomeness right there Congrats on a great find!! I just have to say.... Nice Score!! !